Efforts to bring back a mammoth are underway, but they're going to take some time. If you had dreams of riding a wooly mammoth through 2019 after reading headlines this week that 'Wooly mammoth will be back from extinction within two years', you might want to change your plans. It's not going to happen. 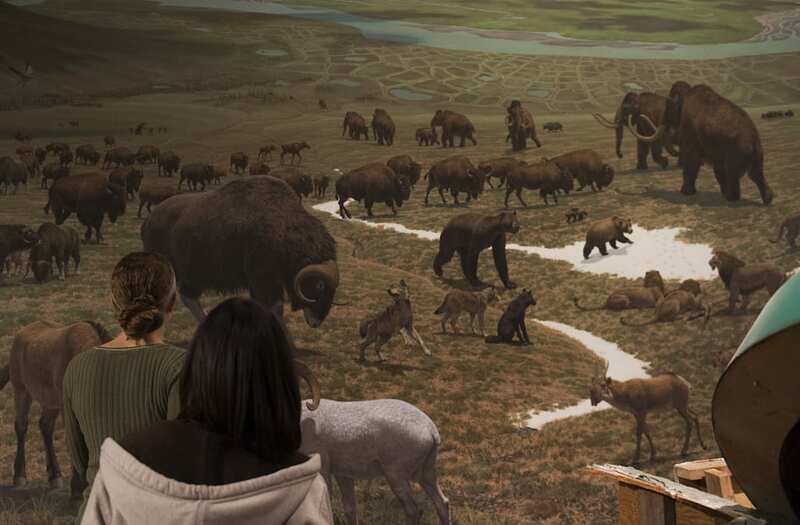 Multiple teams of researchers are trying to bring back a wooly mammoth, but it would be disingenuous to imply that the beasts will be roaming the tundra 24 months from now. What started this furor was an update from one of those teams at the American Association for the Advancement of Science conference in Boston. "Our aim is to produce a hybrid elephant-mammoth embryo," Harvard's George Church told The Guardian. "Actually, it would be more like an elephant with a number of mammoth traits. We're not there yet, but it could happen in a couple of years." File photo dated 23/09/14 of James Rylands, Auctioneer and Director of Summers Place Auctions in West Sussex, preparing the skeleton of an Ice Age Woolly Mammoth, which could fetch £250,000 when it is auctioned today. The key word there is embryo. Church's team—the Wooly Mammoth Revival project—is using CRISPR gene-editing technology to put genetic traits collected from frozen mammoth corpses into Asian elephant DNA. So far, they've managed to incorporate traits of the mammoth's ears, fat, and hair into elephant DNA. In a few years they hope to make an embryo, but that's a long way from creating a viable embryo. A viable embryo would have to be able to survive long enough to move from a Petri dish to some kind of womb—and then it would have to grow into a healthy calf that the team could successfully deliver and raise. Artificial gestation is considered the most likely option for any viable embryo, because Asian elephants, the closest living relatives of mammoths, are currently endangered. Church has created an artificial womb capable of gestating a mouse embryo for 10 days but that's a far cry from the 660-day gestation period of an elephant calf. So while an embryo may indeed be possible by 2019, there's no telling how many years would stretch between that milestone and the actual reintroduction of the woolly mammoth. Researchers have already created embryos of chickens with dinosaur snouts, for example, and those dino-chickens aren't clucking around a co-op. The first attempts to make a living mammoth are many more years away. And it's important to remember that no one is actually going to bring mammoths back. The manufactured embryo will not be an exact replica of the mammoths that roamed the earth around 4,000 years ago. It will be an elephant manipulated to be more mammoth-like, and it will be something entirely new—a 'mammophant'. With so many animals going extinct it makes sense that the idea of de-extinction captures public attention. But the easiest way to remedy the loss of an entire species isn't to try to rebuild it from frozen samples or create artificial copies. It's to prevent them from going extinct in the first place. What is happening with the Oroville Dam spillway? An LED-backlit gaming keyboard for 74 percent off? I'd buy it.